Use the arrows or click on the picture to navigate through the tour. 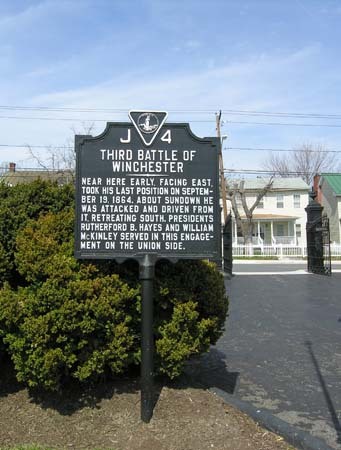 Near here Early, facing east, took his last position on September 19, 1864. About sundown he was attacked and driven from it, retreating south. Presidents Rutherford B. Hayes and William McKinley served in this engagement on the Union side.